1.Heat large skillet over medium-high heat until hot. Pat cod dry with paper towel; sprinkle both sides with 1/2 teaspoon each salt and black pepper, and red pepper. Reduce heat to medium. Add 2 tablespoons oil, 1 tablespoon butter and cod to skillet; cook 4 to 5 minutes or until bottom is lightly browned. 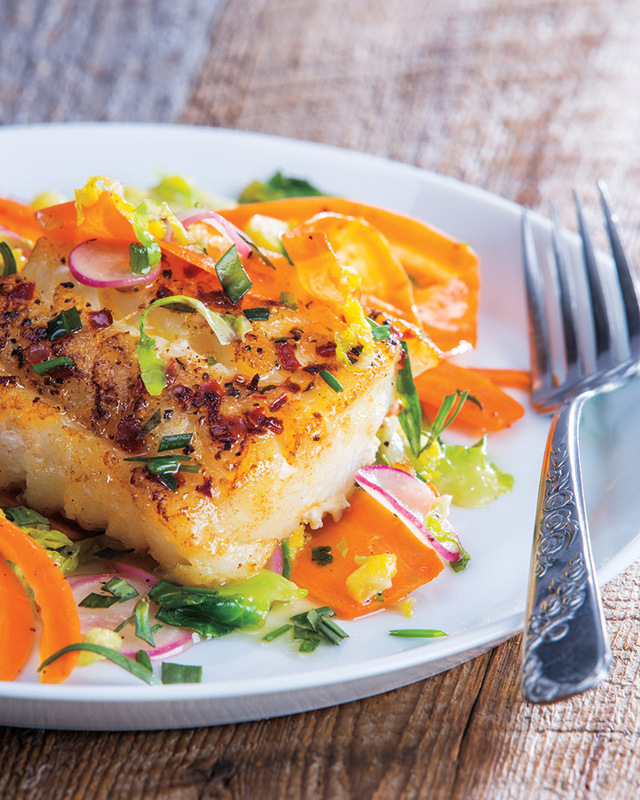 Turn cod; cook 4 to 5 minutes longer or until internal temperature of cod reaches 145°. Transfer cod to large plate; keep warm. Remove skillet from heat; add lemon juice and remaining 2 tablespoons butter.